As this happens, coastal areas will be bombarded with torrential rain, high winds and storm surge, not for a few hours, but possibly a couple of days. Help may not be available for days due to the dangerous conditions for to those who choose to remain behind along the coast. Total inundation is likely in portions of eastern and southeastern North Carolina and perhaps the upper part of the South Carolina coast with a storm surge in excess of 10 feet in some areas. “While other sources are monitoring the intensity of the storm, AccuWeather emphasizes that although Florence will lose wind intensity as it approaches the coast and moves inland, we are focused on the overall impacts of the storm on people and their lives. The maximum damage from hurricanes is generally caused by flooding on land. Typically, the second most costly aspect of a hurricane occurs along the coast as an angry sea is driven inland due to powerful onshore winds, especially when there is a large fetch and particularly when a storm moves consistently and perpendicular to the coast. Following inland flooding and coastal damage, winds, on average, are often the next biggest cause of hurricane damage and economic costs,” Myers said. Last year, AccuWeather correctly predicted the total economic damage of severe weather events for 2017. These estimates were predicted further ahead and more accurately than any other source, helping people to better understand the urgency of the extreme weather situations so they could take swift action. 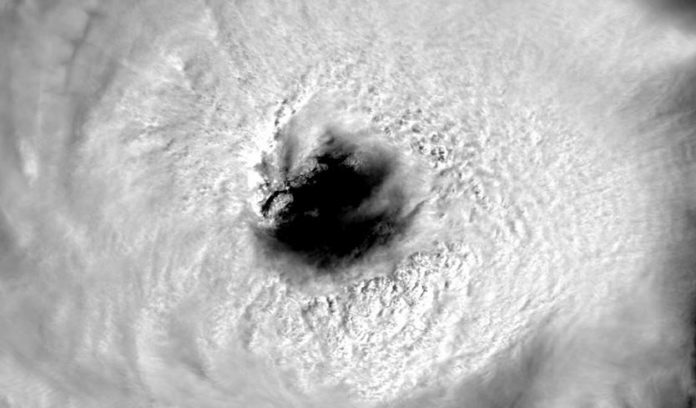 “A storm with the track of Florence is unprecedented. It was located father north in the Atlantic than any other storm to ever hit the Carolinas, so what we’re forecasting is unprecedented. Also, most storms coming into the Carolinas tend to move northward, and this storm looks like it’s going to stall over the region and potentially bring tremendous, life-threatening flooding,,” AccuWeather Vice President of Forecasting and Graphics Operations Marshall Moss said. States of emergency have been declared in North Carolina, South Carolina, Virginia and Maryland in preparation for Florence’s arrival. Florence regained Category 4 strength as of midday Monday. It became the first Category 4 hurricane of the 2018 Atlantic season last week but later weakened due to a zone of strong wind shear and cooler waters. Conditions along the Atlantic coast from the Carolinas to southern Maryland will deteriorate rapidly as seas dramatically build on Thursday and into Friday. Florence is expected to be as strong as a Category 4 hurricane by the time it makes its closest approach to the United States from Thursday to Friday. AccuWeather Hurricane Expert Dan Kottlowski said that a Florence landfall along the U.S. East coast is becoming more likely, with the Carolinas at greatest risk. The exact track, overall size and forward speed of the storm will determine which locations along the coast receive the worst of Florence’s damaging winds, heavy rain and storm surge flooding.